Our last brilliant, active and inspiring moment this term was when Mr Lavis sent us a video message. 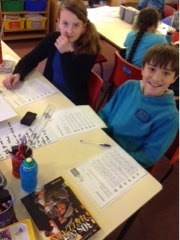 In his opinion, there were too many boys in year 5, the girls are statistically too loud and Cranborne is not the safest place to go so he was unable to allow Year 5 to go on their residential trip. 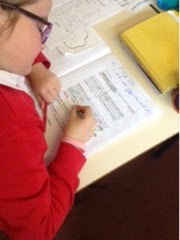 After a few shocked and that's not fair moments, year 5 sat down and wrote some terrific Persuasive Letters to Mr Lavis. By the end of the day, Mr Lavis was convinced this was going to be the best trip ever and changed his mind (he even asked if he could come!) 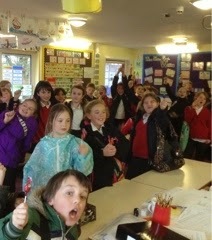 So watch out,Year 5 are going on a Residential - hurray! A fantastic day was had by all. It started with Agent Peacock in the hall. 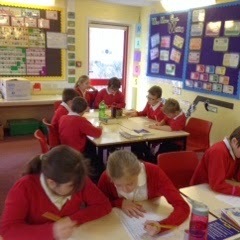 Then Rowan class went back to the classroom to decode a secret message in order to locate a special letter. 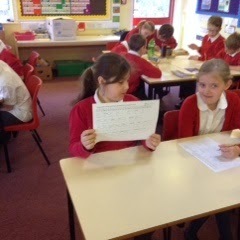 Rowan Class then went to Poplar Class to find out their secret letter. 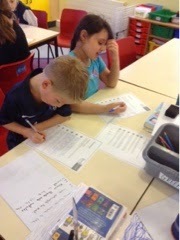 After lunch, Rowan class visited Apple and Juniper Class to find out their respective secret letters. Finally, we all went back to the hall to arrange all the secret letters. The message left us all jubilant! What an amazing card! I am very grateful to the team. Their generosity is very much appreciated. 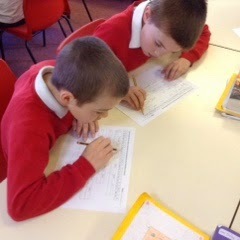 This week 5 Poplar have been looking at percentages and how to convert them into decimals and fractions! 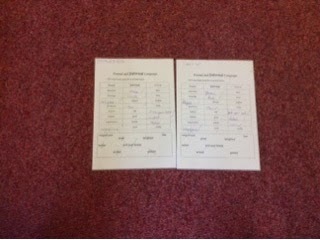 Here is Tommy's work, he has successfully converted between percentages, decimals and fractions! Well done Tommy! Keep up the hard work! We have been imagining real life contexts for percentages. When a question asks us to calculate a discount, or alternatively a percentage extra free, we need to know whether to add on to our total, or subtract from it. Every morning 5Poplar have a quick activity to get their brains ready for the day! Today's activity involved describing this beautiful tropical beach! 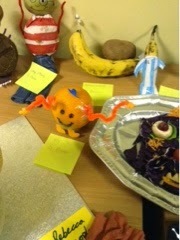 Alyssa and Louise really wanted to show you their amazing descriptions! Well done girls! 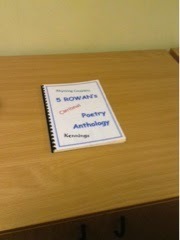 5 Rowan's poems from book week have been published. Please come and enjoy some outside our classroom. 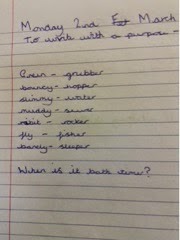 Today we looked at formal and informal writing. 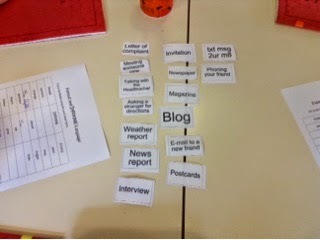 We sorted out types of writing. 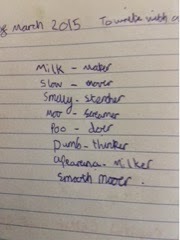 Then we looked at formal and informal language including slang and decided who would say these words. 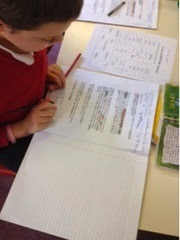 Then we looked at a letter highlighting formal words and informal words. 6:30am in Salisbury. We weren't allowed to take photos at Chelsea's training grounds at Cobham. 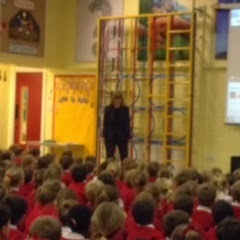 However, there were official photographers who will send on some images to the school. When these arrive, we will post them on this blog. 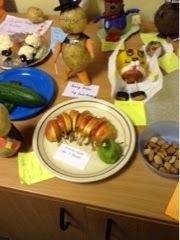 There were ten teams there and we won our group of five. In the semifinals, we played well to beat Semley 1-0. In the final, it was 0-0 so it went to penalties. We lost when in "sudden death". 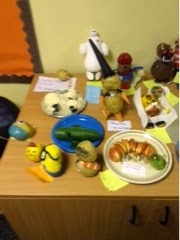 Great performance from everyone - I am very pleased and proud of the team. We are on the way back! Golden Glove Award - won by Tyler for the most clean sheets for a goal keeper. We won the Tisbury area tournament which involved nine local schools. Winning team may be going to the Chelsea training grounds next week. Today we all dressed up in something blue to celebrate UNICEF's Day for Change. We donated our money to the Children in Need in Syria. We had an assembly that looked at our rights and responsibilities for a safe and secure playtime where the rights respecting ambassadors introduced new areas and play equipment for break time and lunch time plays. 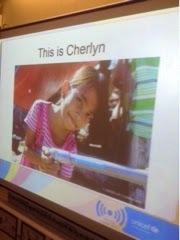 In class, we looked at Cherlyn's story and how UNICEF helped many children after a typhoon destroyed her village and many other villages in the Philippines. 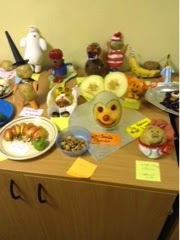 To celebrate this the children all brought in their favourite character made out of fruit and vegetables. 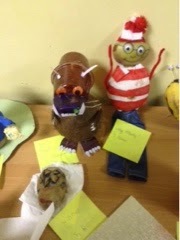 Check theses wonderful creations out! 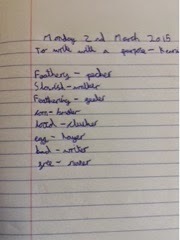 Here are some Kennings we worked on in pairs to kick off Book Week. 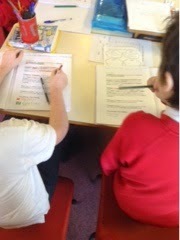 We thought of an animal - can you guess our animals from our poems? In the mini tournament, we beat Semley 3-1 and Abbey 1-0.